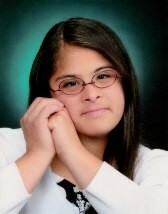 Monica is excited to share some of the new World Down Syndrome Day videos. These have been submitted by families and organizations from around the world. Just click on the links to see the videos. These videos reminded us of the joy it is for all her family to have Monica! The videos below were some of the ones we liked best. Monica and her grandparents had fun attending one brother’s college graduation. Monica and her siblings at one of her brother’s Eagle Scout Court of Honor.